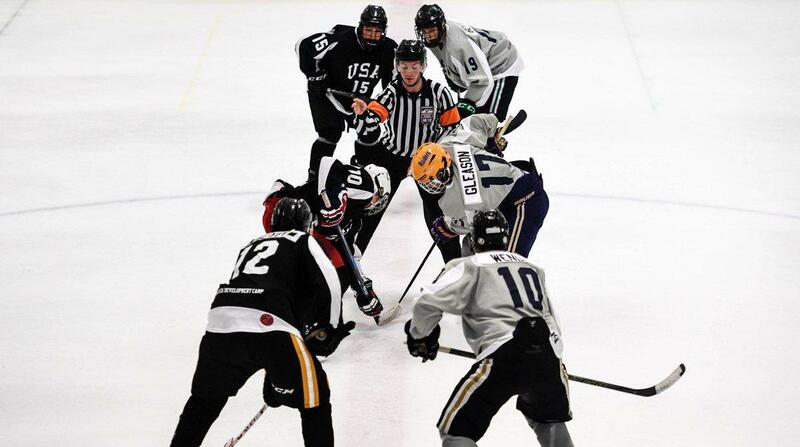 Note: The USA Hockey District Referees-in-Chief have more information regarding each of the development camps. All interested officials that meet the criteria for participation should contact their District RIC. Applications must be submitted to the District RIC by the prescribed deadline. 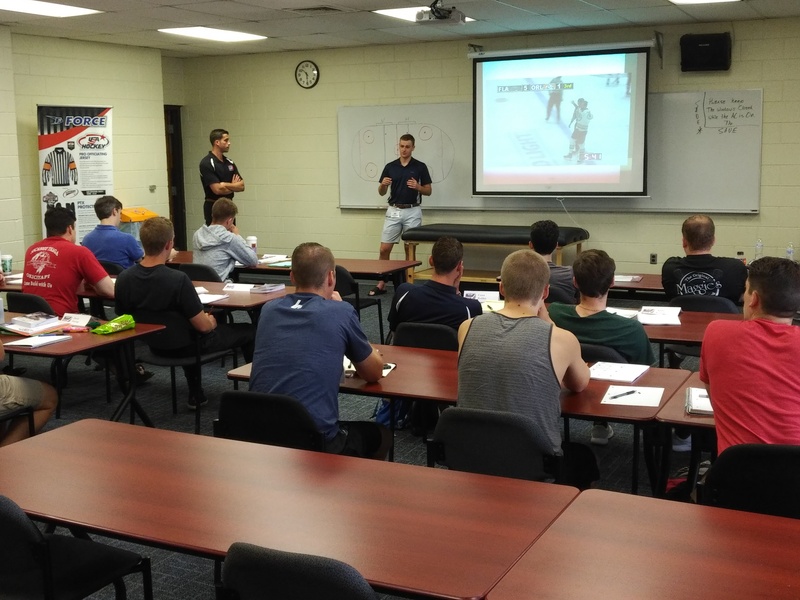 OBJECTIVE - This camp is a thoroughly educational review of the fundamentals of amateur ice hockey officiating. 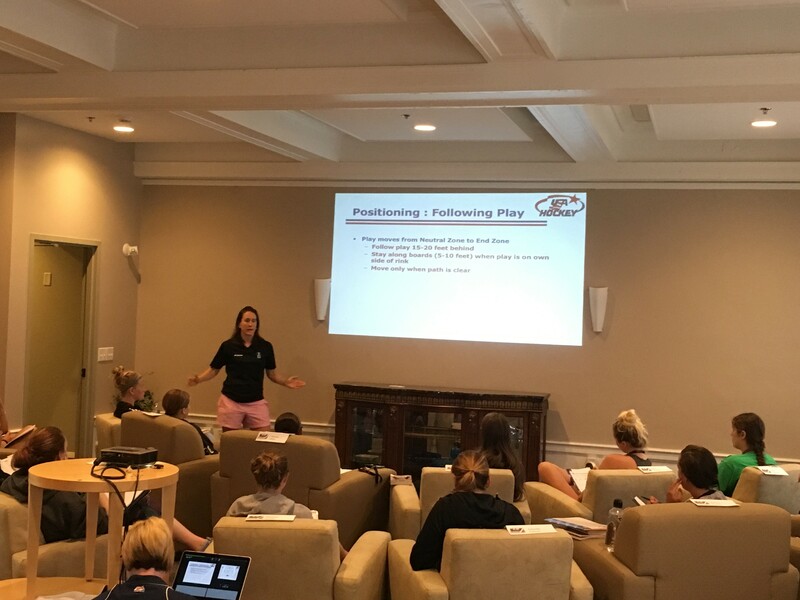 The Futures Camp establishes a practical understanding of the fundamentals of game management as recommended by the USA Hockey Officiating Program. These areas include positioning, skating fundamentals, rules knowledge, physical fitness, mental preparation, and setting goals. This camp is educational in nature and focuses on reinforcing basic techniques an official needs to manage all levels of amateur hockey. PARTICIPANTS - These programs each host 12 -18 participants between the ages of (but not exclusive to) 18-28 years old. Applicants should have 2-3 years of overall experience (minimum) and some experience working 14 & Under hockey and higher. Furthermore, all participants should possess a desire to bring all information they learn back home to share with their local officiating community. COST - $90.00 Registration Fee if selected to participate, plus travel to and from camp location. Housing, meals, facilities use, and classroom materials are provided by USA Hockey. PARTICIPANTS - This program hosts 18-24 participants who are between the ages of (but not exclusive to) 20-30 years old. All officials must be USA Hockey registered officials. 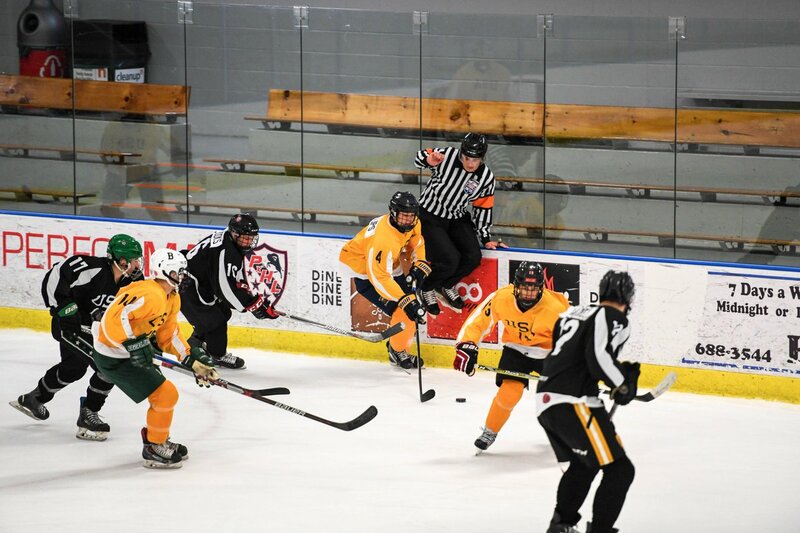 Experience at the Tier III Junior or ACHA Collegiate level, or participating at NAPHL development events or USA Hockey National Tournaments is preferred (but not required). COSTS - $90.00 Registration Fee if selected to participate, plus travel costs to and from the camp location. Housing, meals, facilities use, and classroom materials will be provided by USA Hockey. OBJECTIVE - To instruct those officials who work at the most advanced levels of competitive hockey (Tier I Junior, NCAA, & Professional). 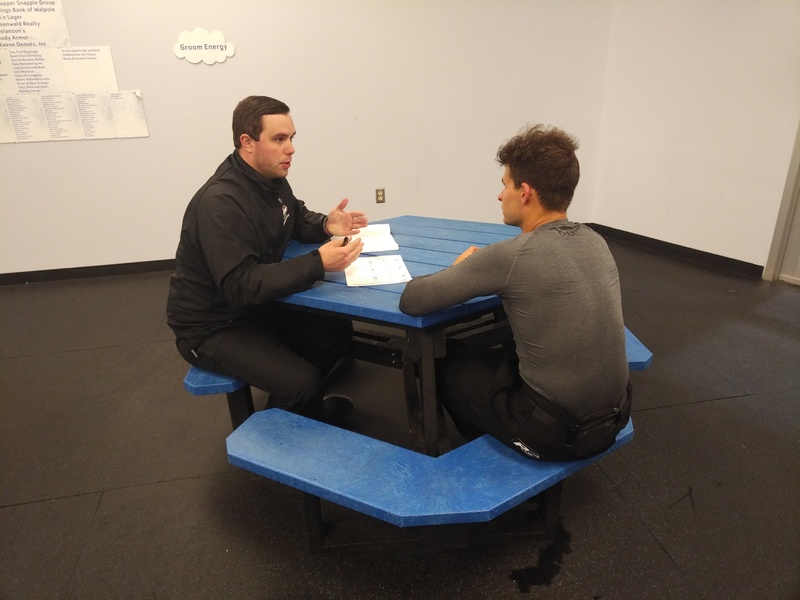 To provide participants with the opportunity to receive high levels of both individual and group instruction on college, international and professional mental-function and techniques, including both on and off-ice environments. This camp is focused on the advance techniques that officials must master to effectively manage hockey games at the highest levels. PARTICIPANTS - All participants will be invited based on selections made by a committee comprised of top Tier I Junior, NCAA, and Professional officials. COST - No registration fee required, and USA Hockey will subsidize portion of travel costs to camp location. Housing, meals, facilities use, and classroom materials will be provided by USA Hockey. OBJECTIVE - To instill a wealth of information regarding the playing rules and nuances of Sled Hockey that can be taken back to various regions by the participants and shared with officials at the local level. To present the basic skills necessary to establish a foundation of officiating skills that will allow each participant to achieve success with officiating Sled Hockey games. To identify those grassroots officials who have the necessary skills, attitude and desires to achieve this success. PARTICIPANTS - This program will host six participants between the ages of (but not exclusive to) 18-36 years old. It is strongly recommended that applicants have prior experience working both Sled Hockey and competitive able-bodied hockey. Furthermore, all participants should possess a strong desire to bring all information they learn back home to share with their local officiating community. COST - $90.00 Registration Fee if selected to participate, plus travel costs to and from the camp location. Housing, meals, facilities use, and classroom materials will be provided by USA Hockey. Links to complete online camps applications are posted below the 2019 Camp Schedule. Applications must be submitted through the online website by the posted deadline. Sled Hockey applications must forwarded to Disabled Hockey Referee-in-Chief by application deadline.